The railway station in the Yaroslavl city. 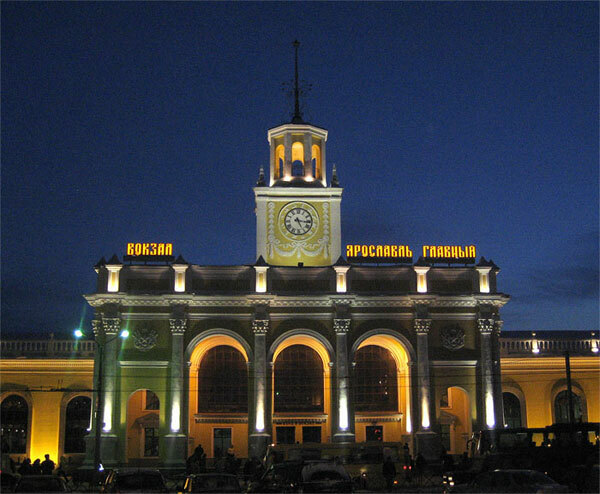 From the station trains depart for cities Arkhangelsk, Vologda, Yekaterinburg, Krasnoyarsk, Kirov, Moscow, St. Petersburg, Adler, Anapa, Novorossiysk and other Russian cities. From the station, you can also go to Ukraine and Belarus. Railway station photo.